For a complete list of my publications, awards, and work experience, download my Curriculum Vitae. For a more informal tour of my research, follow along! 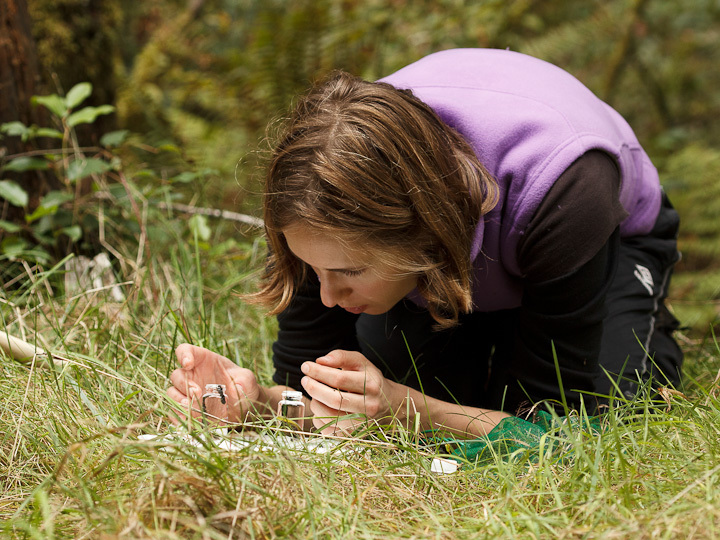 For my BSc Honours thesis, I studied overwintering mosquitoes in sheltered habitats around Victoria BC. 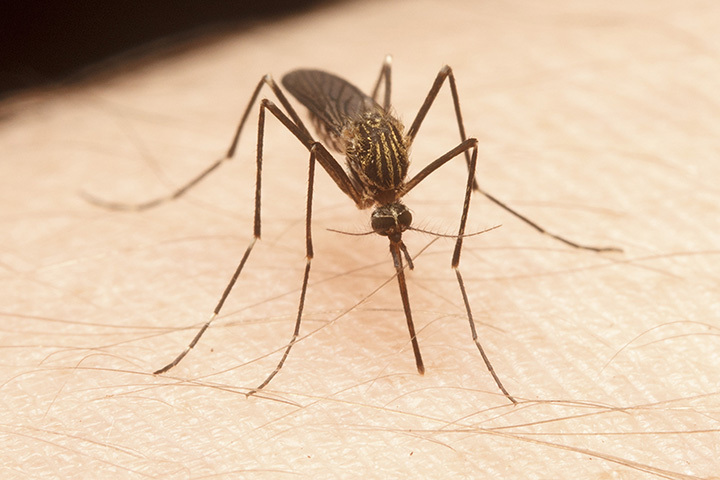 Using temperature and humidity dataloggers, I investigated what conditions were correlated with mosquito presence. 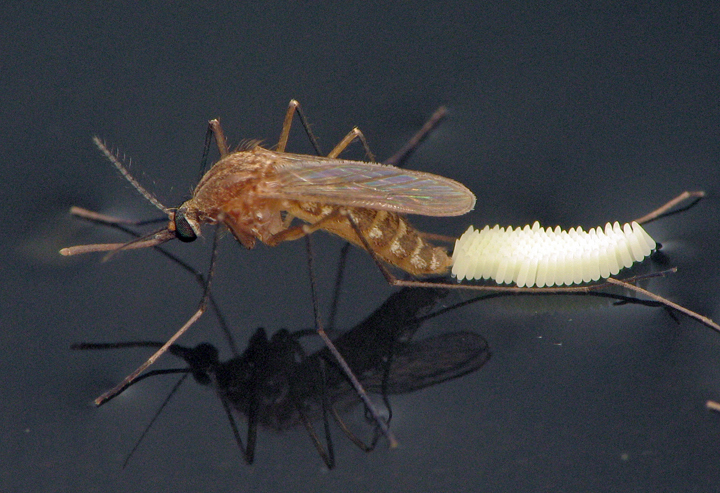 During my Masters at the University of Florida’s Florida Medical Entomology Laboratory, I worked with Dr. Cynthia Lord to investigate factors predicting fecundity in two species of Culex mosquitoes. For this study, I developed photographic techniques for counting egg rafts that allowed for analysis of fertility. Age, bloodmeal size and body size were all significant predictors of the number of eggs produced by females, and interactions between age and size were evident in Culex quinquefasicatus. You can read the thesis here, or a paper originating from this work here. 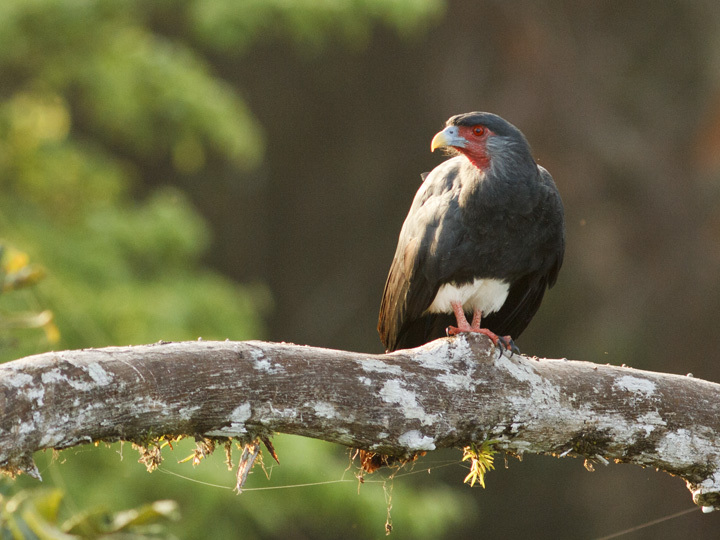 For my PhD thesis at Simon Fraser University, I worked with Dr. Gerhard Gries to study the foraging and nesting biology of the Red-throated Caracara. Our first paper on the subject was the first detailed description of the nesting biology of these enigmatic raptors using nest camera recordings. . (Photo by Philippe Gaucher). 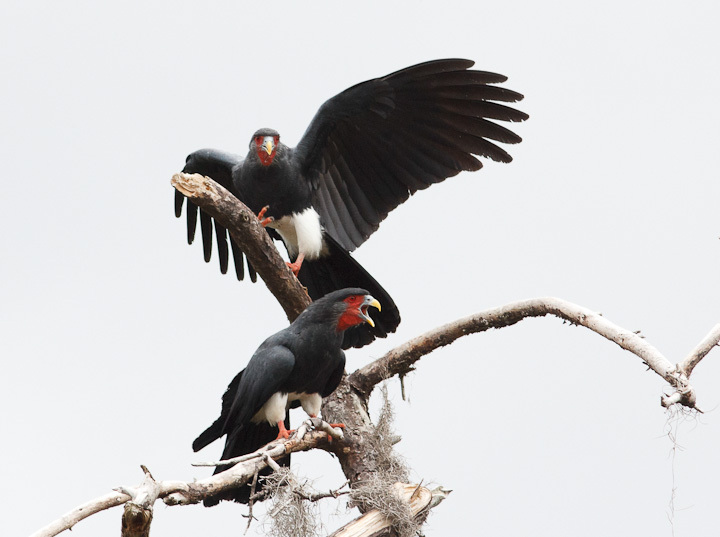 Our second published paper on these caracaras is an in-depth investigation of the unique predation behaviour of these birds on social wasps. We investigated the hypothesis that these birds were chemically defended from counterattack by their prey, and used analytical chemistry and video recordings to demonstrate that they are not. I have also published a video teaser for the paper, as well as a blog post describing the research. The full paper can be found online here. During my research on Red-throated Caracara predation behaviour, I also recorded a Black-throated Antshrike preying on social wasp nests. This has been published as a note in Revista Brasileira de Ornithologia. 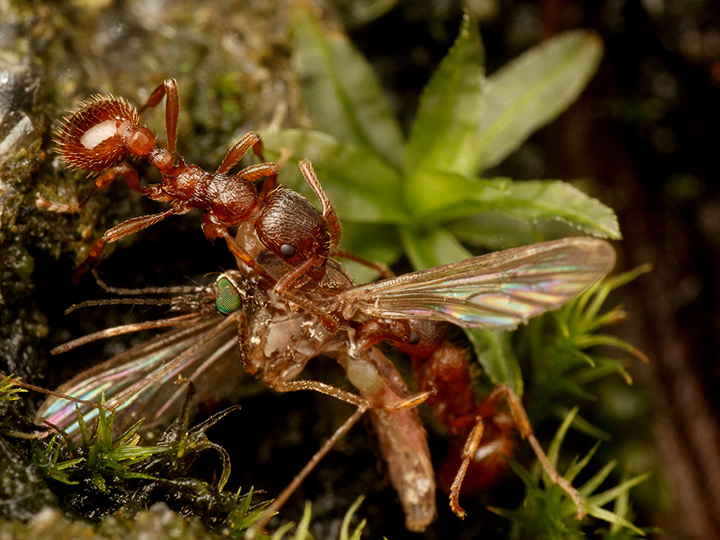 We are continuing to publish papers orginating from my thesis research, and manuscripts detailing comparisons of caracara wasp predation rates with army ants as well as an investigation of social and territorial behaviour are coming soon. These studies also relied heavily on videography. 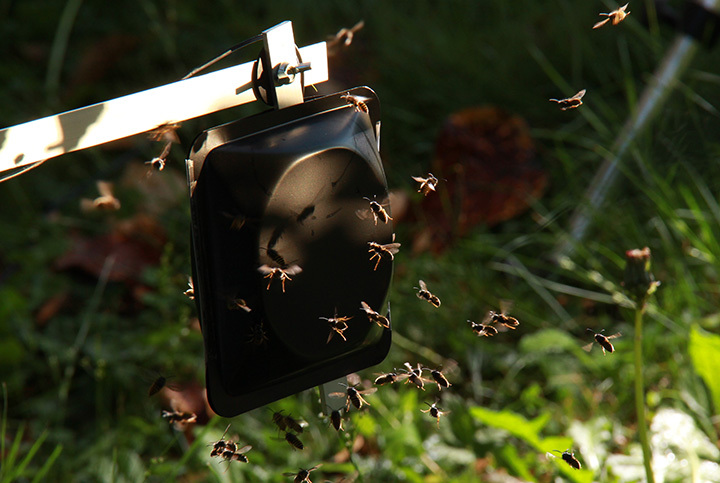 A side project of my PhD research was studying the pheromone-mediated alarm and attack behaviour of Vespula wasps. This is exciting research, and the results will soon be published. I am particularly proud of the innovative bioassay technique I developed using simultaneous two channel recordings and automated counting. This manuscript is currently accepted in Journal of Hymenoptera Research. In my time at SFU, I have collaborated with several members of our laboratory as well as other researchers. One of my favourite contributions was with Mike Hrabar, investigating the reproductive behaviviour of Xenos peckii, a strepsipteran parasite of Polistes wasps. My role in this study involved using high speed videography to capture the upwind flight and mating of the short-lived male strepsipterans. Our research resulted in what I think is a seminal paper on the subject. 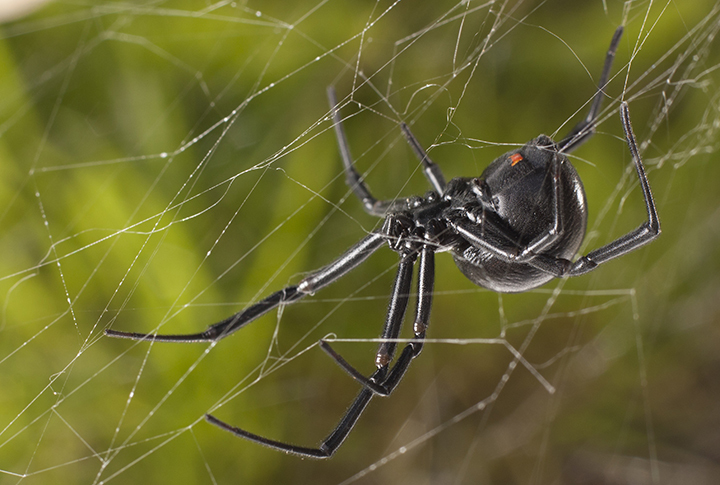 I have also collaborated with Catherine Scott, investigating in both the field and the laboratory the mating behaviour of Latrodectus hesperus, the western black widow spider. My role in these studies involved assistance with fieldwork and design of laboratory bioassays for quantification of male courtship behaviour. Check out the lab study here, and the awesome field study here. 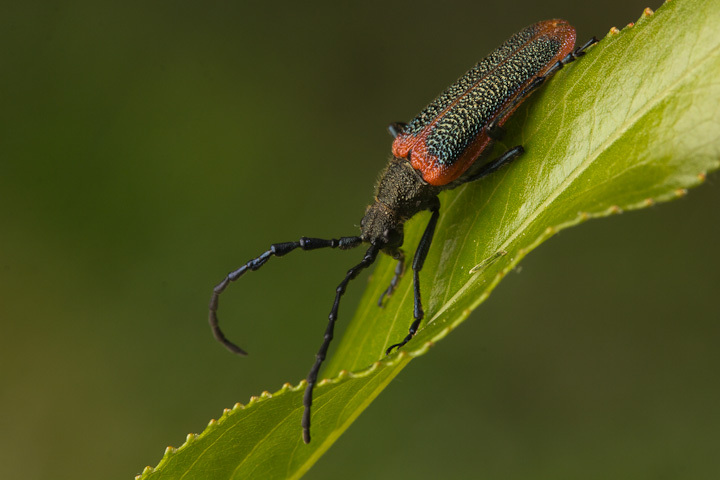 I have also assisted Dr. Ann Ray in investigating pheromonal communication in Elderberry Borers of the genus Desmocerus. 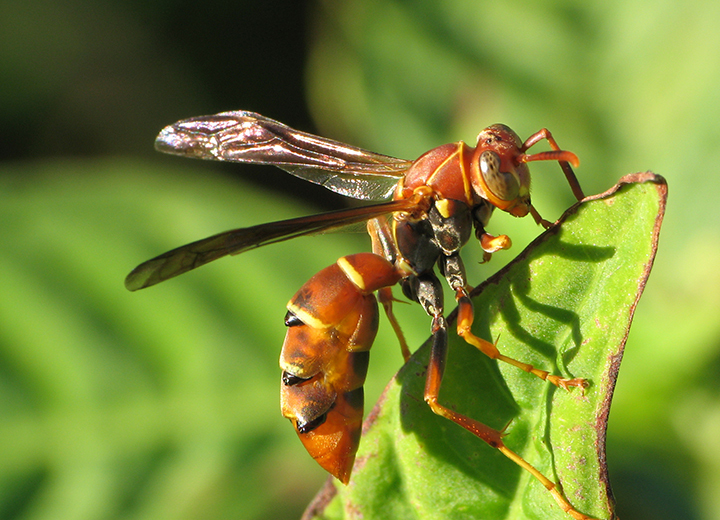 My role in this study was in field bioassays of pheromone chemicals. This research has been published in PLOS-ONE. 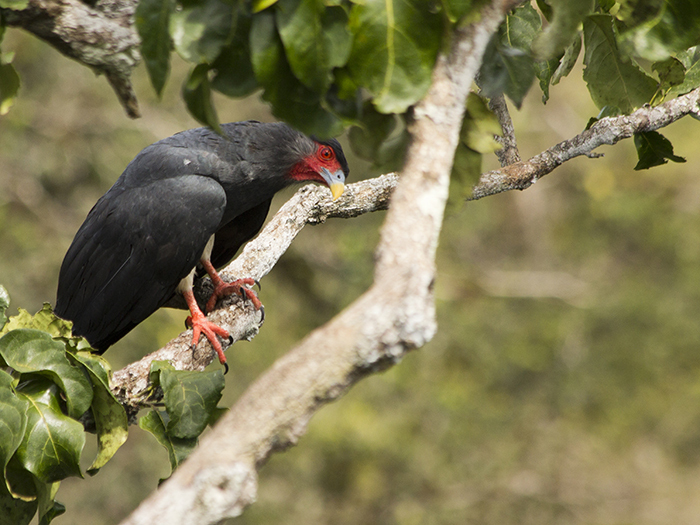 I have continued my research with Red-throated Caracaras, helping to coauthor the first published record of a nest of these birds for Central America. 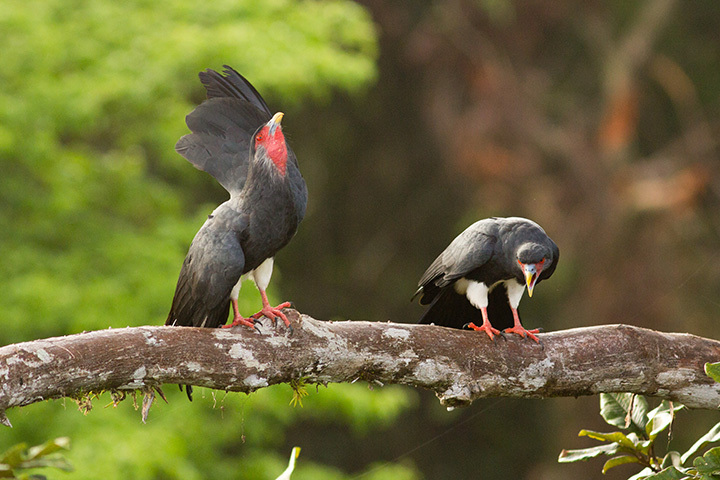 These are photos I took in January 2014 of Red-throated Caracaras in a pine forest near Gualaco, Honduras. 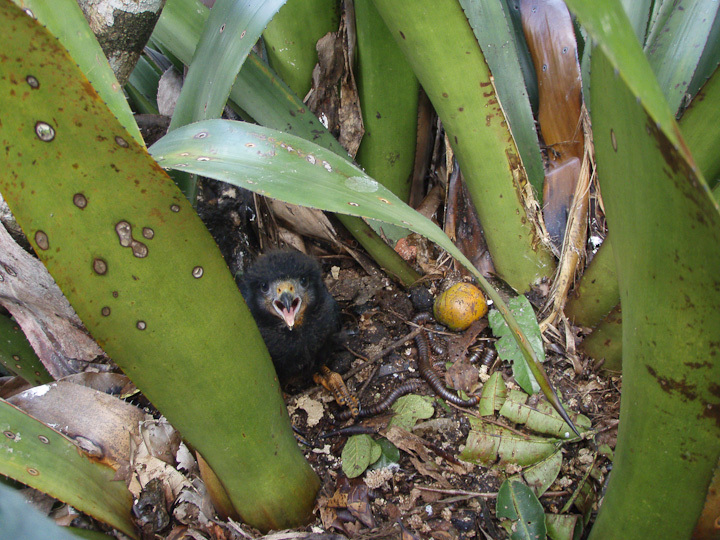 The population of these wonderful birds is perilously low in Central America. 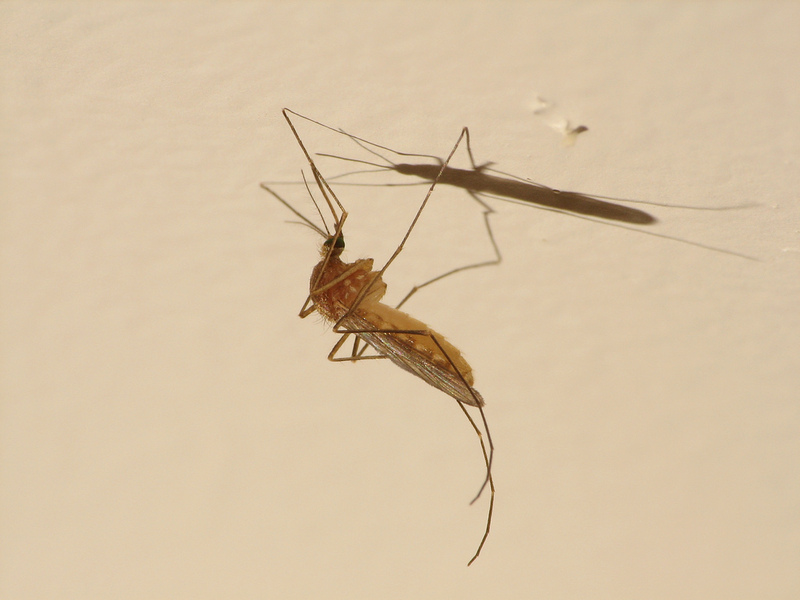 Keeping up with my interests in both mosquitoes and photography, I published a new species record for BC from a photograph I took in 2011. 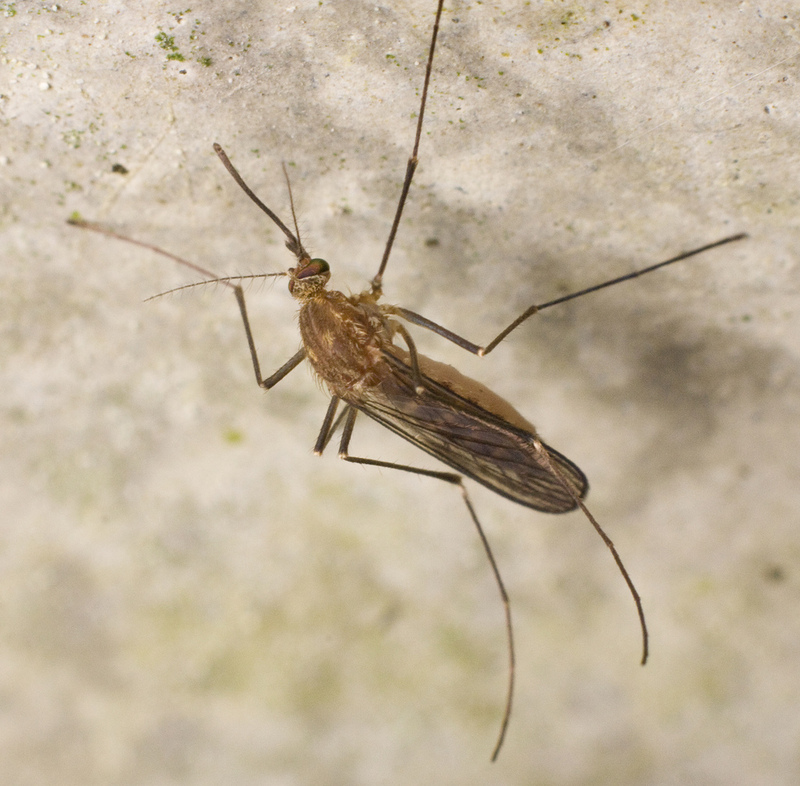 Another photo of mine led to another collaborative species range expansion paper, this time, Aedes japonicus being detected in BC for the first time! During the last semester of my PhD, I helped Dr. Rob Higgins with field studies of invasive Myrmica ants in the Lower Mainland of BC. My duties were to conduct fieldwork on natural history, distribution and behaviour of these ants. During my PhD I taught the laboratory component of Insect Ecology, teaching insect anatomy, physiology and insect identification. I received a Departmental teaching award for this in 2010. In 2013, I assisted with a project at the Vancouver International airport to investigate the insect fauna at the facility to find out what might be attracting Barn Swallows over the runways. I taught 3 undergraduate students the basics of insect ID and guided them through the data collection project. I have always tried to incorporate outreach into my schedule, participating in youth science outreach, and giving several public lectures to non-academic audiences. Your work is so impressive, Sean! I’m sure you’ll be a huge success in your field. I hope so! It is a bad time to be a PhD graduate in Biology in some ways. Well put together and very impressive. You will succeed. 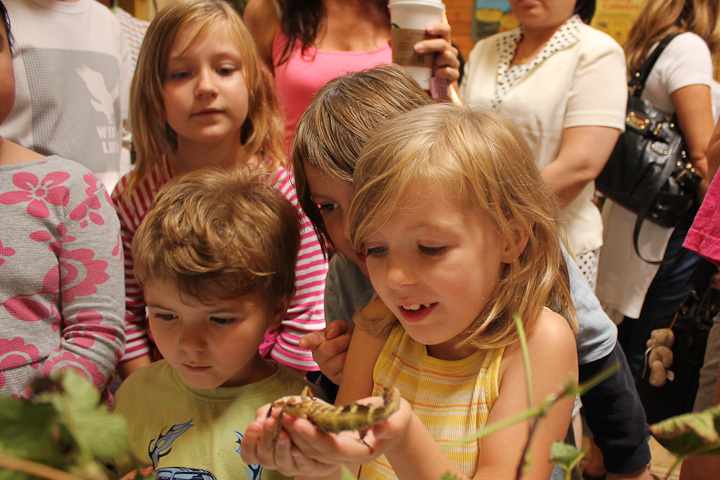 My name is Lindley McKay, i am the author of “frillneck!’ and “reptiles & amphibians of Bali”. Currently, i am putting together a guide to top end wildlife for the Environment Centre NT. It will be a handbook covering about 600 species, mostly common, interesting or iconic non-marine taxa, from the northern part of Australia’s NT. The aim of ECNT (an environmental NGO based in Darwin) is to promote conservation through this product. Its major selling point will be high quality images, of which we have many from more than 70 fotographers; however, we are still chasing some species, including the Australian cockroach Periplaneta australasiae. I saw your image on flickr. Would you be interested in contributing it to the book? Unfortunately, being an environmental non-profit means we dont have money to pay for images, however all fotographers will be credited beside their images and receive a free copy of the book. Some further info is below, and please contact me if you would like to know more. Please send any images in digital format of highest resolution possible. Receiving an image by email or post is taken as permission from the photographer to publish the image in the book “A Field Guide to the Wildlife of the Top End”, and any subsequent editions. Images will not be used for other purposes. Copyright remains with the photographer, and all contributors will be credited in the text and receive a free copy of the book. I have sent a reply to your email address, please let me know if you receive it. What a delightful CV showcasing great works. I am visiting because I saw, what may be one of your photographs, it is a closeup of a crow’s face. The paper was posted by Grigori Guitchounts, March 2016. I am a painter, who also works in a research lab. There is an art show coming up, Art Neureau: A neuroscience-inspired art show. I am doing several paintings of crows, in celebration of their intelligence. I have admired and enjoyed the spirit of crows for years and have taken many pictures, but the picture you made of that thoughtful face is brilliant. I would like to paint your photograph, but only with your permission. If I don’t hear from you, I will not make a painting of your photograph. Thank you for taking your time to read my note. I would be delighted if you took inspiration from the image, and I think I know the one you mean. It was featured in a Quora magazine article recently on cognitive neuroscience of corvids. I will email you a high resolution version.